This fund is for the purchase of medicines and equipment, as well as helping poor patients pay for health care. 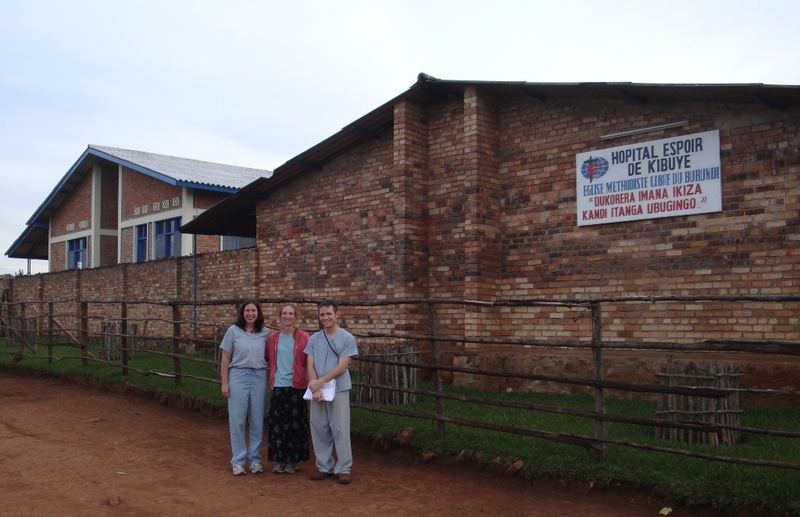 Kibuye Hope Hospital has a long history of providing healthcare in Burundi. FMWM had a great deal of involvement in launching and sustaining the hospital in its early years. Now, under full Burundian leadership, Kibuye periodically receives the volunteer services of visiting health professionals and some regular missionary service. This account processes support specifically for Kibuye Hope Hospital . Kibuye Hope Hospital was founded in 1946 by Dr. Esther Kuhn. It is now an 82 bed general hospital in a population area of 250,000 people. There are 10 health centers that refer to Kibuye and have radio contact with the hospital for service by the ambulance. It is a rural hospital but served by a paved road 100 miles from the capitol of Bujumbura. Hope Africa University (HAU) in Bujumbura has established a Health Sciences division for training nurses and doctors called The Frank Ogden Medical School. It is named after long time missionary surgeon Dr Frank Ogden, now retired. Kibuye Hospital is one of three teaching hospitals for the HAU medical school. In addition to general medical services Kibuye Hope Hospital has a program of outreach into the community to help the handicapped (particularly the blind); a child survival program run by World Relief; and a small factory that produces a high protein cereal to prevent and treat malnutrition.